We offer subscriptions and exclusive newsletters. Visit our website at WWW.VALUENTUM.COM for more information. Thank you! 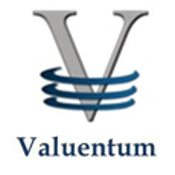 Valuentum (val∙u∙n∙tum) [val-yoo-en-tuh-m] Securities Inc. is an independent investment research publisher, offering premium equity reports, dividend reports, and ETF reports, as well as commentary across all sectors/companies, a Best Ideas Newsletter (spanning market caps, asset classes), a Dividend Growth Newsletter, modeling tools/products, and more. Independence and integrity remain our core, and we strive to be a champion of the investor. Valuentum is based in the Chicagoland area. Valuentum is not a money manager, broker, or financial advisor. Valuentum is a publisher of financial information.